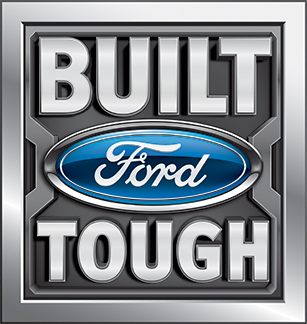 WINTER SPRINGS, FL, October 13, 2016	(Newswire.com) - Bee Line Transport of Lynchburg, Va., captured the First Place Award for Heavy-Duty Truck in the national Shine ‘n Star Tow Truck Photo Beauty Contest, hosted by Tow Times magazine and powered by Ford Trucks. The winner is a 2015 Kenworth T880 with an NRC 65-ton CSR sliding rotator towing equipment. It sports a custom white, yellow, black full-chassis vinyl wrap paying tribute to first responders and military members. The passenger-side wrap includes members or symbols of Army, Navy, Air Force and Marine and the words, "Stand Tall, Stand Proud." The driver side includes images of police and fire first responders and reads, "Support Your Local Public Service Members." One of the company’s fleet of over 43 tow trucks, it was chosen out of 550 entries submitted in five categories this year from around the country and Canada. 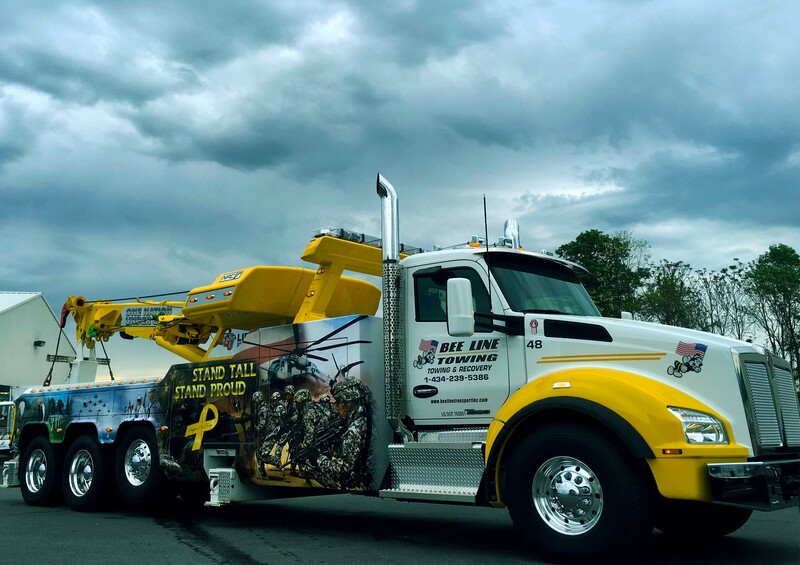 The Shine ‘n Star Tow Truck Photo Beauty Contest first-place award adds another notch to Bee Line Transport's 18 years of outstanding service in the Lynchburg and central Virginia area. The company, which started out with one tow truck, today answers over 300 calls per week and is the official towing company for the Lynchburg police and Liberty University, among others. In fact, the Kenworth heavy-duty tow truck also has a Liberty University decal. "Anything we can do to show appreciation for these gentlemen," said Bee Line Transport owner Kevin Jones. "We're just trying to support and get recognition for the people who are out there on the highways everyday." 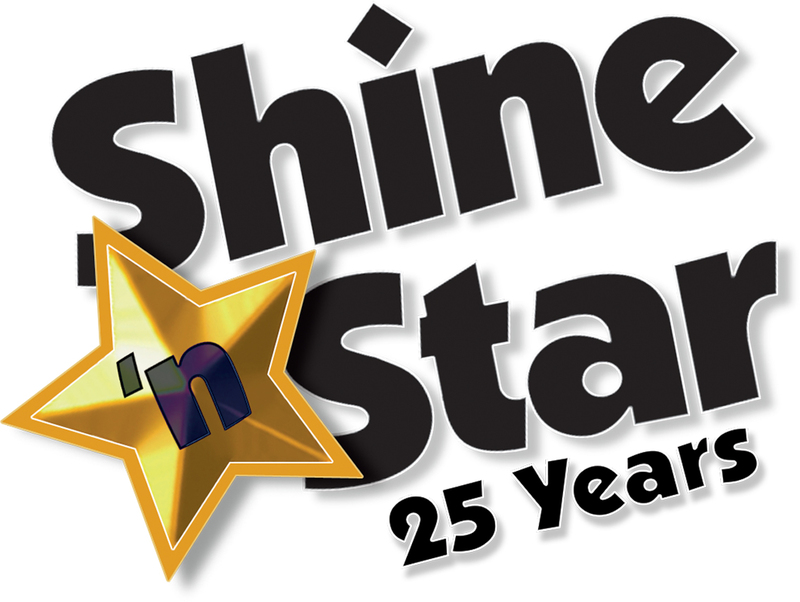 The annual Shine ‘n Star Tow Truck Photo Beauty Contest – celebrating 25 years in 2016 – taps into towing operators’ pride in their fleet, providing an opportunity to show off the beauty and brawn of their equipment. Like many tow truck owners and operators, Kevin Jones loves his trucks. "This is the first time we entered a tow truck competition," Jones said. "We’ve got another brand new rotator. We’re going to wrap it too but with a different theme." The Shine ‘n Star national tow truck photo beauty contest offers 16 cash prizes, with first-place winners such as Bee Line Transport also featured on a future cover of Tow Times magazine. Reach Kevin Jones of Bee Line Transport, Lynchburg, Va., at 434-239-5386.